Valentine’s Day is a date in the calendar that divides opinion - for some, an opportunity to show love and affection for their nearest and dearest, for others, a tacky commercial affair with gifts and cards as dispensable as they are bright red. But there is another way. What if you could give a truly unique gift - one that has character and history - a way of showing your love without a single mass manufactured bear or helium balloon in sight? Not only does an antique gift offer the chance of increasing in value over time, it has the added charm of having a story behind it. Our antiques and jewellery experts are on hand to give you all the detail behind your purchase to make it extra special. Is Valentine’s Day the day you plan to pop the big question? 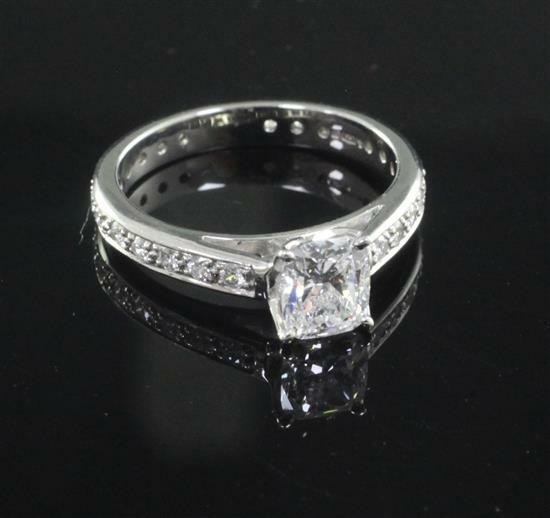 Our auctions regularly feature beautiful and elegant rings of the highest quality to mark any special occasion. You’ll likely pick up a piece of better value than you’d get at a dedicated jewellery chain / high street retailer, simply because when buying from auction, you’re only paying for the item (with a little commission). It is generally agreed that the difference between auction sale and retail price is three to four times - a £1,000 ring at auction would cost £3000 - £4,000 retail. When buying a retail piece of jewellery you are also paying for the costs filtered down to you as a customer i.e. materials to make it, cost of production, marketing, wages of sales staff, insurance and other overheads incurred by the jewellery retailer. So why not pick up a bargain today - a great example being this modern platinum and single stone diamond ring, which sold at auction for £1,800. Why not opt for something that catches the eye, perhaps in the object of your affection’s favourite colour? 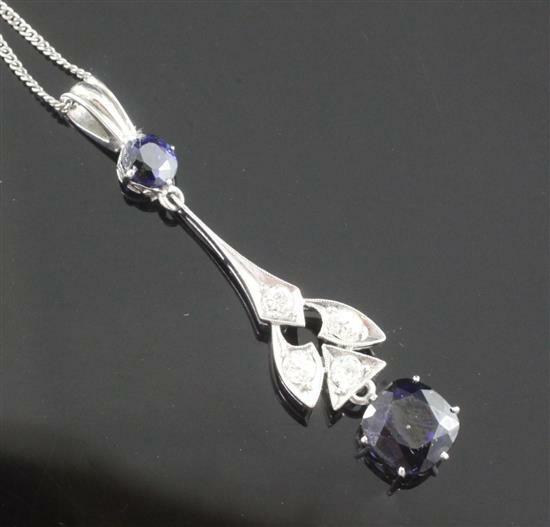 Something similar to this beautiful platinum, sapphire and diamond drop pendant, which sold for £300, could go down a treat. 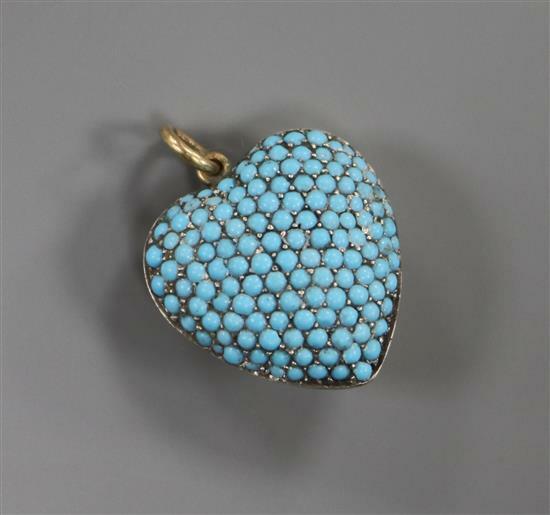 Or show the shape of your heart with a Valentine’s present akin to this yellow metal and pave set turquoise pendant, which sold for £220. Why not buy a gift for Valentine’s that hints towards bigger things, or future journeys of adventure together. 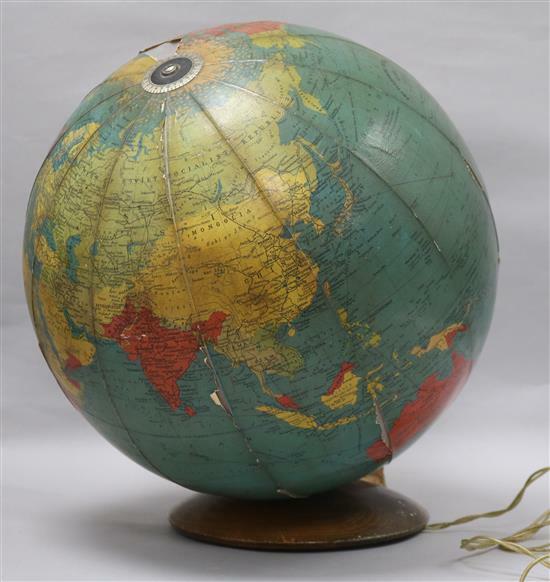 Like this Encyclopedia Britannica Globe Lamp, which sold for £20 at auction. What better way to spark your partner’s curiosity before revealing a holiday or around the world trip! Valentine’s Day doesn’t have to be all about jewellery. There’s some fantastic pieces of art to wow your loved one on 14th February. You might even like to choose a painting or mezzotint that depicts love in all its glory. What better way to celebrate your love than a perfectly timed (we’re only half sorry for that pun) gift, packed with charm and elegance. 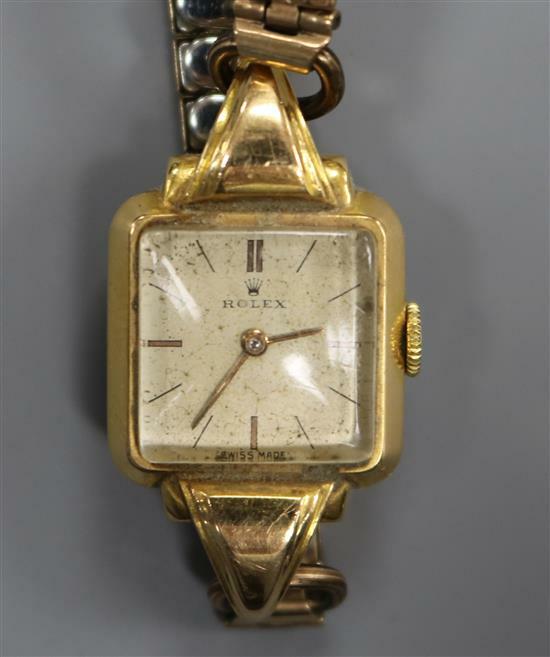 We regularly auction beautiful timepieces, like this classic yellow metal Rolex manual wind wrist watch, which sold for £260. You can’t go far wrong with a teddy - soft, cute and cuddly - oh and if it’s antique, quiet likely to gain value over time compared to its mass produced counterpart. 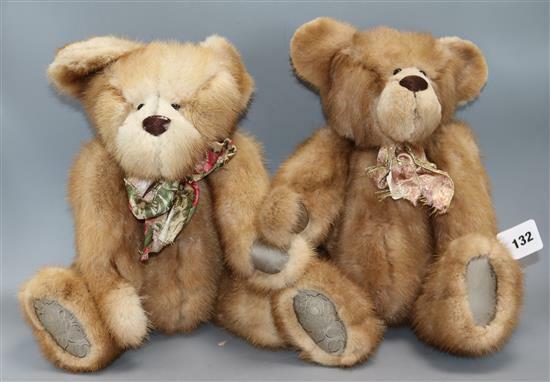 We often have teddy bear collections in our auctions, ready for you to pick up a bargain, like this pair of Angie Rogers Fur Teddy Bears, which sold for £35. 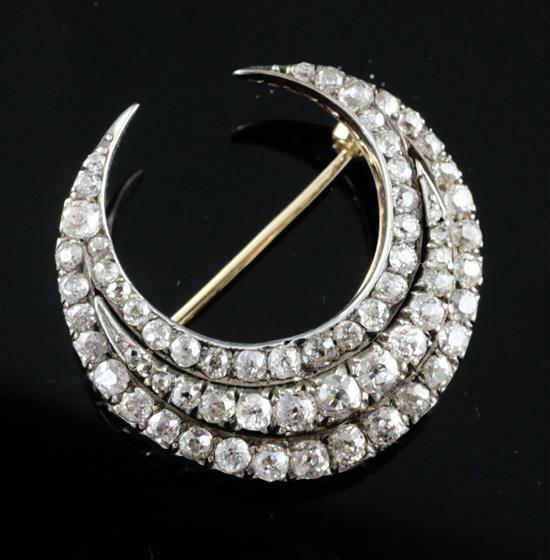 Nothing’s more elegant than a beautifully designed brooch to adorn a blazer, dress or cardigan on a night out. Earn some serious brownie points with the gift of an antique brooch, like this early 20th century gold and silver, triple row diamond set crescent pendant brooch, which sold for £1,500 at auction. Necklaces and earrings are one of the most thoughtful gifts you can give, showing you’ve carefully considered someone’s personal style and also, in terms of earrings, which designs will best suit their face shape. Antique earrings are a great option for more unique pieces that you won’t find on the high street, and by no means do antique earrings mean they’re dated. 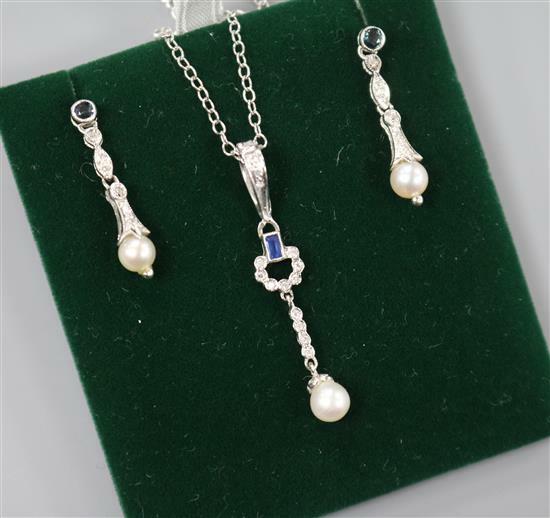 If you get it right, they’ll make for a truly memorable present - like this modern pendant necklace and earrings collection, which sold for a very reasonable £220. Make your Valentine’s Day one to remember by browsing our upcoming auction dates. You never know, you might pick up the perfect gift at a bargain price!